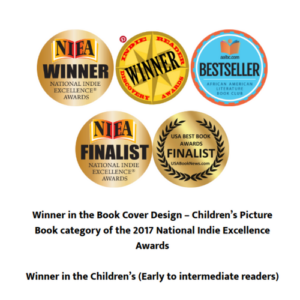 Prior to receiving my first copy of the multi-award winning children’s book, Rice and Rocks, I admittedly never heard about it. The only fact I knew was that the story spoke about traditions, and a brown skinned boy played the lead in the story. That was enough to peek my interest in taking the offer to review the book. When I sat down to read Rice and Rocks with my two Trini-Rican boys (Yes, that’s short for Trinidadian and Puerto Rican. 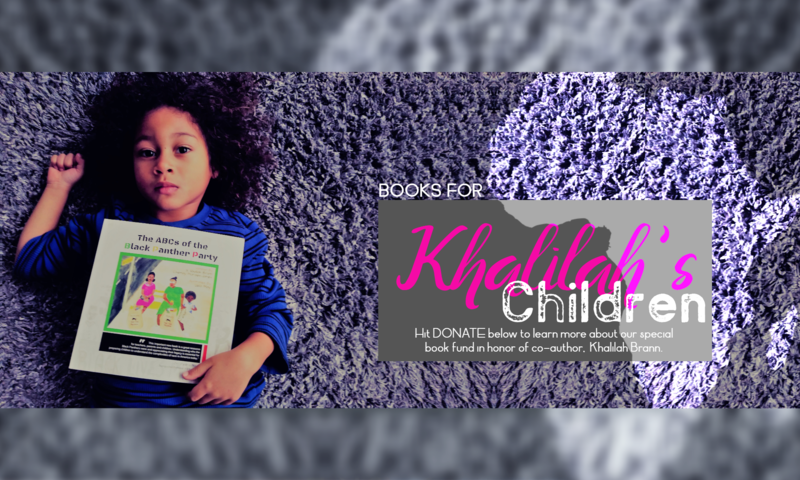 ), each turn of the page revealed a nugget of information that personally connected with my boys and I. The first was that Giovanni’s family (Giovanni is the main character.) is from the Caribbean–Jamaica to be exact. When I told my boys Jamaica is in the same location where both my husband and my family are from, their faces lit up and they immediately told me to stop talking and keep reading! LOL! 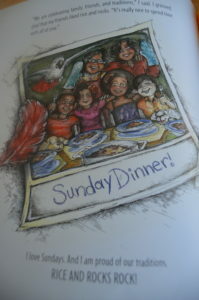 The second connection was the food Giovanni and his family traditionally eat on Sundays–rice and beans. Giovanni refers to rice and beans as rice and rocks because he doesn’t like the beans. My youngest son jumped with joy as he shouted, “Mmmm rice and beans my favorite!”. Like Giovanni, my eldest responded with, “Yuck, I hate beans!” As we continued to read the story, we learned Giovanni was a bit embarrassed about his friends coming to Sunday dinner because he didn’t think they would be comfortable eating the main dish–rice and rocks (With stewed chicken, of course!). 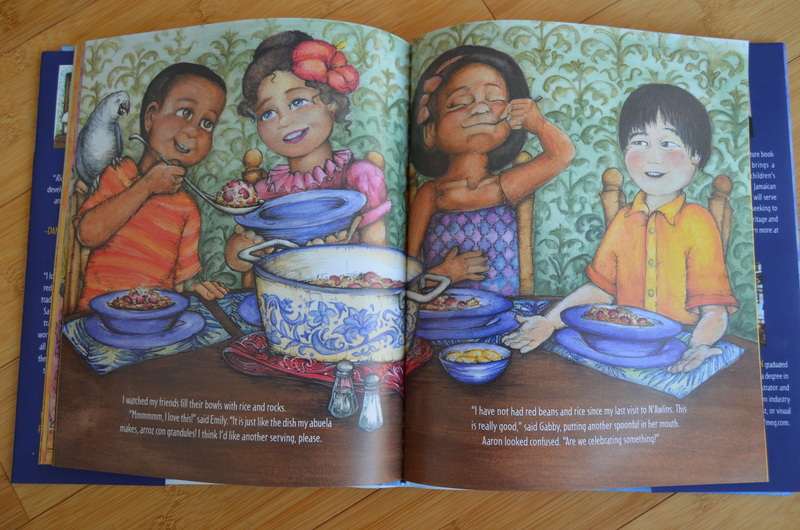 However, his auntie, takes him on a magical adventure to visit the homelands of his three friends–Puerto Rico, Japan, and New Orleans–to show him how the tradition of eating rice and beans crosses the globe. 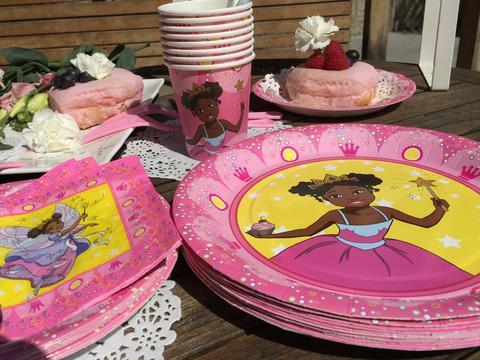 Rice and Rocks does more than just bring diversity into America’s very Eurocentric children’s book world, it does so by centering African based foods and traditions that are still celebrated today in many households, like mine, by affirming rather than othering or fetishizing them. 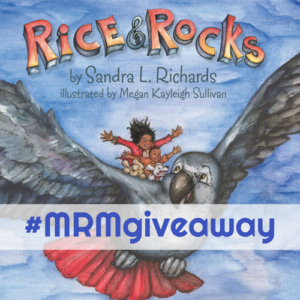 After reading Rice and Rocks and seeing how my boys and I personally connected with it, I knew I had to reach out to the award winning author, Sandra L. Richards, to learn more about what drove her to write this special book. 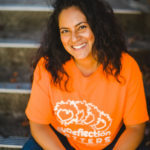 Read my interview with Sandra below to learn how an eight year old boy inspired her to write a book that I believe should be a household classic. 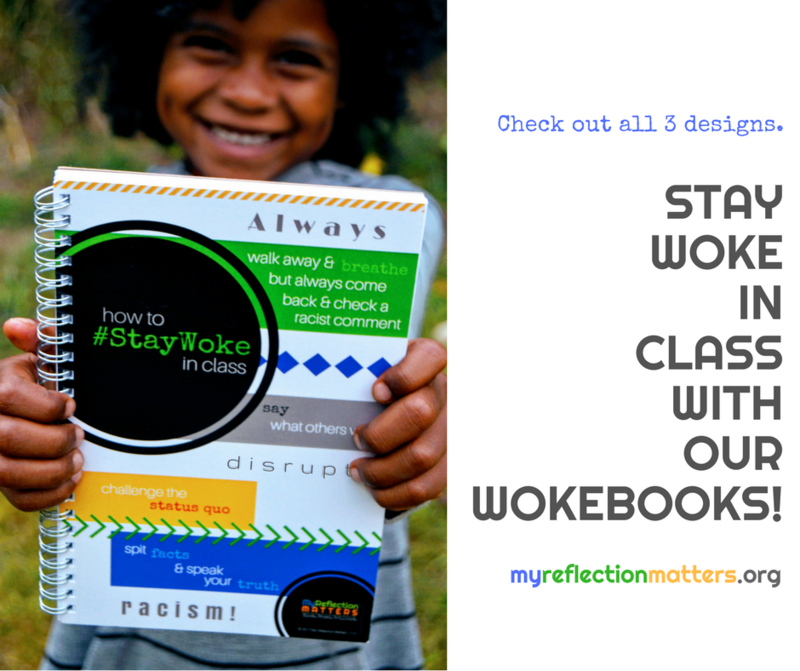 Don’t forget to answer my question at the end of this post to enter for a chance to win a FREE COPY of RICE AND ROCKS! Sandra, what made you decide to write Rice & Rocks? 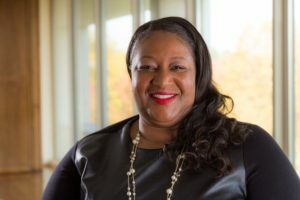 You can learn more about Sandra L. Richards here and follow her on Twitter and Instagram for updates on her latest projects! Purchase Rice and Rocks here. 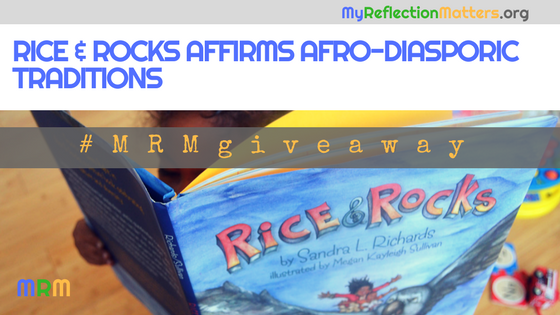 Enter to win a copy of Rice & Rocks by sharing a family tradition you and your family practice in the comments section below! We eat traditional Latin American food in our home (and love fried plantains especially), and I speak Spanish to my kiddo exclusively, using the sayings and idioms I grew up with. Love it! We, too, love our platanos! I try my best with my broken Spanish to teach my little ones words and phrases. Next PostNext Is Hats of Faith Pushing Us to Teach Children Tolerance or Honorance?